I do love beautiful linens so when Perfect Linens (affiliate link) contacted me about reviewing their sheets I jumped at the chance. They have also been very generous in offering my readers a $50.00 discount on any of their sheet sets. See details below. Perfect Linens sent me the pretty Eternally Drapeful Supple Sheet set to review. 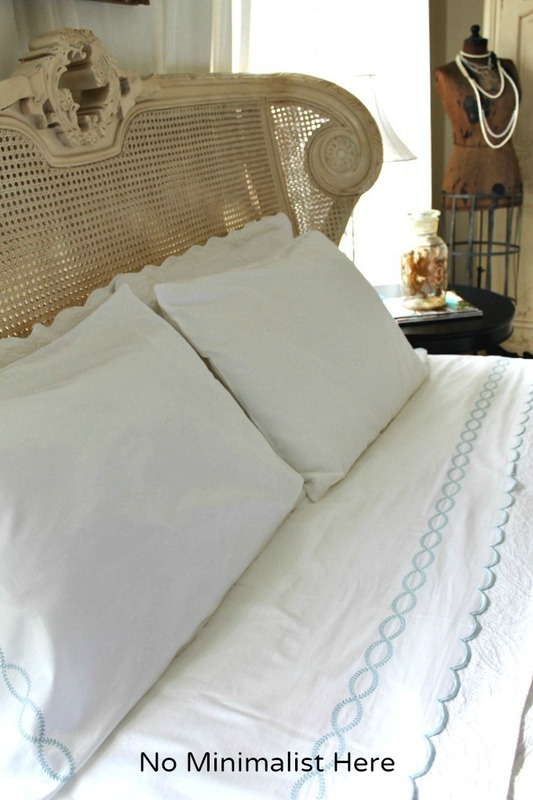 The embroidered powder blue laurel pattern is beautiful and matches perfectly with my other bedding. We have slept on these sheets for several nights and not only are they beautiful but I also I love the way they feel. Even my husband commented on how much he liked the sheets. Funny, because I never thought he even noticed things like this. 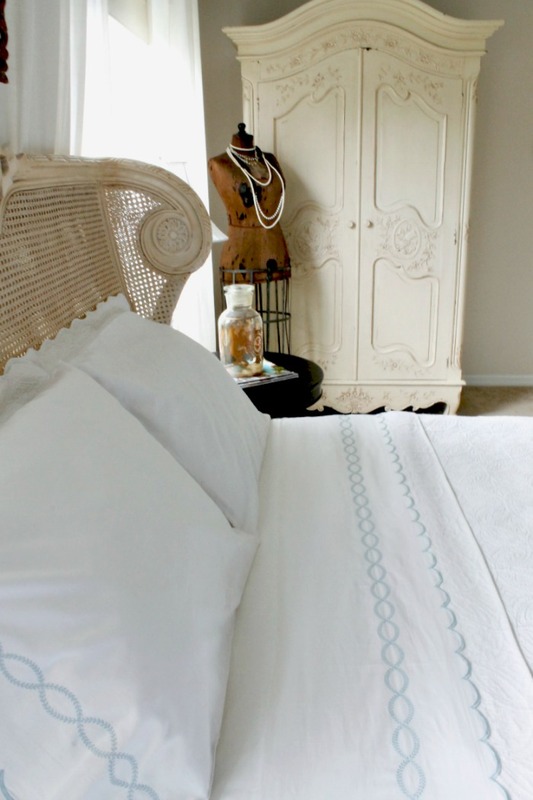 For over 25 years Perfect Linens has been selling sheets to the best retailers in the world. They use state of the art technology to find the most comfortable sheets and are the only retailer that test the feel after they are washed. You don’t have to search through many websites to find which weave, thread count or material will work best for you because you can find the sheets perfect for you at this one site. Perfect linens is offering a special discount for my readers. Take an additional $50.00 off any sheet set by clicking HERE. Just use code NoMin50 for the discount. I was given a set of sets to review however, all opinions are my own and not influenced by the affiliate. See my full disclosure above. Oh they are beautiful, love the scallop detail. Ooooh! Have to check it out! Thanks Sherry and love the one you chose! Thanks for sharing. Beautiful linen! Love those beautiful sheets you are using! I just did a review on some of their sheets too, but it was a different style. Aren't they wonderful? Wow…they sound wonderful and I love the design!!! Wow, these are really beautiful! Off to peek!